Lying at the centre of the country, Panna National Park is the home for a wide variety of flora and fauna. Extended over an area of 542 sq. 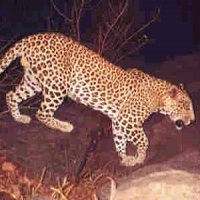 kms, this national park is the outcome of the merging of erstwhile famous reserves of Panna, Bijawar and Chattarpur. Renowned as a wildlife sanctuary since 1975, this gained the status of the national park in 1981. The Ken River is the home of the rarest species of crocodiles and tiger sight depends much upon the luck of the visitor. Ken River Lodge, Hotel Jewel of the Jungle. By air: Nearest airport is Khajuraho. By railways: Nearest railway station is Satna. Visiting these Wildlife National Park & Sanctuaries in a hassle free manner had never been so easy that we, now, have made it to be.